Although for most practitioners, the requirements to have settlements with minors approved by a court is horn-book law in Missouri and Kansas. Some insurance companies, however, have taken the approach to entering into non-court approved settlements with minors and then having the parents sign indemnification agreements to avoid court review. In at least one case, the insurance company has gone as far as suing the parents when the daughter sought to enforce her rights under the law. 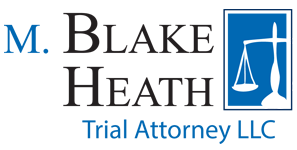 With that background, a quick refresher on this “black letter” law may assist in the continued protection of a minors’ best interests and to help both plaintiffs and defendants avoid large legal bills in the future when a challenge to the non-approved settlement is made by the minor plaintiff. However, our Supreme Court emphasized that parents must comply with strict statutory requirements in order to represent their children in settlement proceedings . . . The holding that a minor’s claims can only be settled by a duly-appointed representative is also supported by the statutory scheme when considered as a whole. . . We, therefore, hold that a parent cannot bargain away a minor’s right to bring a civil action against an alleged tortfeasor without being duly appointed. [Defendant’s] inability to enforce the release . . .is due to public policy reasons. Id. at 788-91 (emphasis added). Under Missouri law, a contract for a settlement with a minor that is not approved by the Court is unenforceable as being against public policy. R.S.Mo. § 507.184 sets forth the powers by which a representative of a minor may enter into settlements. The Missouri Court of Appeals has specifically held that a natural guardian may not enter into a binding settlement agreement, rather a guardian ad litem appointed by the court is required. Smith v. National Super Markets, Inc., 876 S.W.2d 785, 787 (Mo. App. E.D. 1994). The logic is clear, a guardian ad litem or other duly appointed representative exists solely to protect the minor’s interest. Id. at 789. The same statute requires the court to “either approve or disapprove a proposed contract to settle an action or claim of a minor.” R.S.Mo. § 507.184(3). In the Missouri Bar’s publication, Missouri Litigation Settlements, it is noted that “many times a settlement is reached before the filing of suit for an injured minor or disabled person. To complete the settlement, however, a friendly suit is required for the circuit court or to probate division of the circuit court to approve the settlement Mo. Litigation Settlements § 6.13 (emphasis added). In Missouri, a guardian ad litem must be appointed and a settlement with a minor must be closely reviewed by a judge as well. Since 1885, the Kansas Supreme Court has recognized that contracts that are against public policy are not enforceable. Feineman v. Sachs, 33 Kan. 621, 7 P. 222, 224 (1885)(failing to enforce a contract for the sale of liquor from Missouri in a Kansas court, even though the contract was enforceable in the State of Missouri). The Kansas Supreme Court held that “[c]ontracts, therefore, which are in evasion or fraud of the laws of a country, or of the rights or duties of its subjects; contracts against good morals, or against religion, or against public rights; and contract opposed to the national policy or national institutions, — are deemed nullities in every country affected by such considerations, although they may be valid by the laws of the place where they are made.” Id. The Kansas Supreme Court has further held that “[t]he public policy of a state is the law of that state as found in its constitution, its statutory enactments, and its judicial decisions. Contracts in contravention of public policy are void and unenforceable.” Petty v. City of El Dorado, 270 Kan. 847, 854, 19 P.3d 167, 172 (2001)(citations omitted). “Before courts are justified in declaring the existence of public policy ‘it should be so thoroughly established as a state of public mind so united and so definite and fixed that its existence is not subject to any substantial doubt.’” Riddle v. Wal-Mart Stores, Inc. 27 Kan. App. 2d 79, 86, 998 P.2d 114 (2000)(quoting Palmer v. Brown 242 Kan. 893, 897, 752 P.2d 685, 687 (1988)). In the Kansas Supreme Court’s most recent opinion addressing contracts in violation of public policy, the Court states that “[o]rdinarily a contract which is valid where made is valid everywhere, but there is a well-known exception to that rule. Briefly stated, the exception is that where the contract contravenes the settled public policy of the state whose tribunal is invoked to enforce the contract, an action on that contract will not be entertained.” Brenner v. Oppenheimer & Co. Inc., 44 P.3d 364, 375 (Kan. 2002)(emphasis in original)(attached as Exhibit 1). The Court refused to apply New York law to a contract, even though the contract allowed for it. Instead, the Supreme Court held that since a strong public policy existed for governmental regulation of securities, that Kansas law would apply. Id. at 377. In effect, the Court’s refusal to follow the choice of law provision meant that no longer was summary judgment in favor of Oppenheimer proper, but that the plaintiffs were now entitled to summary judgment. Id. at 381. The Kansas Supreme Court decision from April of 2002 is that if a strong public policy exists, the contract provision in contradiction to that policy shall not be enforced. The Kansas Supreme Court has recently renewed the requirement for judicial approval of minor settlements. Guillan v. Watts, 249 Kan., 606, 610 (1991). The logic behind this requirement is sound; the trial court has a “duty to protect the interests of the minor.” Estate of Wise, 20 Kan. App. 2d 624, 633 (1995). The trial court “may not simply rely on the fact that the minor’s parents have consented to the proposed agreement. Instead, the court must determine whether the agreement is in the minor’s best interests.” Baugh v. Baugh, 25 Kan. App. 2d 871, 872-73 (1999). The trial court is not to force “an unwanted settlement upon the plaintiff and her conservators. Such is clearly not the purpose of a hearing seeking court approval of the settlement of a minor’s personal injury litigation.” Blake v. Pepsi-Cola Bottling Co. of Lyons, 241 Kan. 795, 800-01 (1987). Thus there is ample authority in Kansas for the idea that a minor is not bound by a settlement agreement such as the one in this case until court approval has been obtained. Even then, the minor may escape the settlement if the review hearing was inadequate to protect his or her interests. And courts in other jurisdictions have applied this rule to permit minors to repudiate or withdraw from a settlement prior to its approval by the court. We agree that this is logical. [Plaintiff] is correct that the public policy behind the requirement of court approval is protection of the minor’s interests, not those of the minor’s opponent. Kansas’ appellate decisions repeatedly urge reviewing courts to exercise extensive oversight, ensuring that the injured minor’s claims are not sold short by an agreed settlement merely outlined at a ‘friendly’ hearing. White v. Allied Mutual Ins. Co., 31 P.3d 328, 330 (Kan. App. 2001) (internal citations omitted) (emphasis added). Both Missouri and Kansas require that settlements with minors be approved by a court. While some insurance companies may seek to circumvent this legal requirement, it remains sound public policy to have a judge ensure that the weakest in our society are protected. Attorneys representing both plaintiffs and defendants should be aware of the legal requirements in this area to avoid having their clients face large legal bills when a challenge to the non-court approved settlement is raised.